I'm not someone who writes a lot of reviews. I recently bought a used Honda Pilot from Jamestown Honda and the experience was incredible. The sales team, including Bill & Nate helped provide me a great price including everything I was looking for. They were upfront and honest about everything and went way out of their way to make sure all of my needs were met. If you are shopping for a new or used Honda, then I would strongly recommend you check them out. Even if they don't have the car on their lot, they will do everything they can to get it delivered for you. 5 STARS!!!! Extremely clean facility and the staff was extremely helpful with all the questions I had! 10/10 would go back for my next car! Stopped in just to check out a Civic to see if it was comfortable for me. Although I am not in the market, Bruce was very patient with me and resourceful. Jamestown Honda is definitely on the top of my list of dealerships to visit when I am going to buy my next car! Excellent service, no pressure sales, great value. I genuinely enjoyed buying a car here and highly recommend them! Awesome facility and staff! I will definitely be bringing my Ridgeline back here for service. When it is time for a new vehicle Jamestown Honda will certainly be where I will go! Stopped in to test drive a car and was immediately greeted by Nate. He went along for the drive and was very knowledgable about the vehicle, even though it's not a make he normally sells. He made the whole process painless. Unfortunately, I've had some not-so-good experiences with dealerships in the past. I'll admit it. Buying a new car is not one of my favorite things to do. I can honestly say Nate & Jamestown Honda have changed that. Thank you! Beautiful dealership & friendly staff!! Nice to finally have a local Honda dealership! Great facility with a friendly staff! A year ago I leased a Honda Civic as I was 27450 miles into car which had a year to go on a 30000 mile lease. Bill put me into a brand new Honda with a 36000 mile lease and promised me that he would take care of the body scratches (one major and three minor) on the prior auto when it can time to turn it in ten months later. It can be tricky and confusing and costly when one tries to turn a lease car early. Bill led me through that quagmire and saved me about $3000 in the process Of course the other staff members have a tendency to reflect the attitude of their leadership Kudos all around ! Terrific experience! I went in on Black Friday after being told my previous vehicle needed extensive repairs (from another dealership) and would not pass inspection. Salesman Nate Stancombe was a real professional! He listened to what I was looking for, suggested several options, took me for a test drive, and within a few hours I left with a brand new Honda Civic! At no point was he "high pressure," which I've dealt with at other places in the past.In the finance department, Nicole was equally as pleasant and professional to work with! She, too, explained the various financing options and the benefits of each.Jamestown Honda now has a customer for life! Thank you, Nate and Nicole, for a great car-buying experience! We are the newest and one of the largest Honda dealerships within 45 miles of Lakewood, NY; also serving the surrounding communities of Fredonia, Van Buren Bay, Warren and Erie. Our state of the art 25,000 square foot facility offers one of the largest selections of new Honda models in the area. Choose from our most popular new vehicles like the CR-V, Accord, Civic, Odyssey, HR-V, Pilot, Fit or Ridgeline. We have many different new models to match your personal style, and also carry a large selection of used and Honda Certified Pre-Owned vehicles. If you have any questions on our current inventory please give us a call at (716) 526-1350. After you have found the right car for you, our dedicated finance team is here to help answer any questions you may have. We are committed to finding you the perfect car that fits your budget, and make the car buying process simple. If you are ready to start the financing process, you can begin filling out our secure finance application online. Our factory trained and certified service technicians are here to help extend the life of your vehicle, with the latest diagnostic and maintenance equipment. Whether you need a tire rotation, oil change or a major service, the Jamestown Honda service department is here to help take care of your vehicle. We also carry Genuine Honda Parts and Accessories. We make it easy for our customers to schedule a service appointment online and order parts and accessories. We look forward to being your new Honda dealership of choice in the Lakewood, Van Buren Bay, Warren and Erie areas. We are excited to service you and look forward to meeting all of your automotive needs. 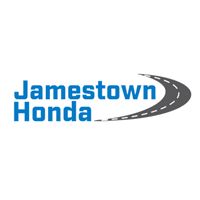 The new Jamestown Honda is located at 207 E Fairmount Ave, Lakewood, NY.